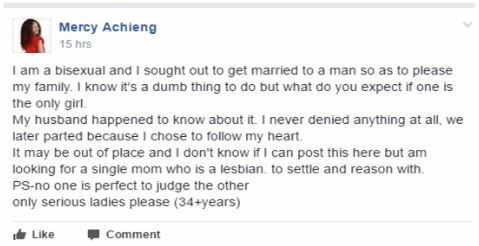 Mercy Achieng who claims she is a bisexual was forced to get married because of pressure from family but she divorced her husband after things went sour. She is now looking for a lesbian partner. Read her confession and see how the society has lost it.